The Centers for Medicare and Medicaid Services proposes a new rule to combat note bloat, improve patient safety, advanced analytics and enable IT innovation. The Centers for Medicare and Medicaid Services on Wednesday called for documentation of E/M visits to be scaled back. The move follows last week’s proposed rule that would bring sweeping policy changes and a dramatic reduction in the documentation CMS would require of physicians. In line with its Patients over Paperwork initiative, the new effort would streamline coding for evaluation and management visits. 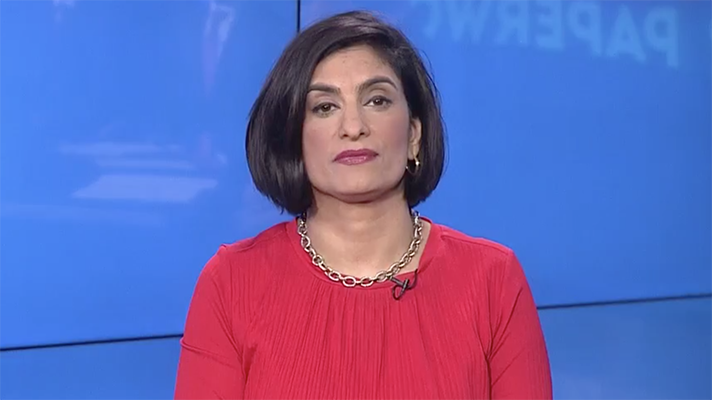 Existing E/M documentation guidelines – first developed nearly 25 years ago – too often nowadays lead to physicians cutting and pasting of large chunks of text across electronic health records, strictly for billing purposes, said CMS Administrator Seema Verma on Wednesday. "This is a poor use of their time," Verma said during a call with reporters. "We are not leveraging the value of American clinicians." So, as part of the 2019 Physician Fee Schedule Proposed Rule, CMS has called for documentation of E/M visits to be scaled back. The rules call for "new, single blended payment rates for new and established patients for office/outpatient E/M level 2 through 5 visits and a series of add-on codes to reflect resources involved in furnishing primary care and non-procedural specialty generally recognized services," according to the proposed fee schedule. They would also: allow practitioners to choose how they document office/outpatient E/M visits; let them "use time as the governing factor" in selecting the visit level they choose; enable docs to "focus their documentation on what has changed since the last visit or pertinent items that have not changed, rather than re-documenting information," and also "allow practitioners to simply review and verify certain information in the medical record that is entered by ancillary staff or the beneficiary, rather than re-entering it." All told, those relaxed rules could save U.S. providers more than 50 hours per clinician per year, said Verma. Add it up across all physicians nationwide and that's "500 years of additional time for patient care," she said. By moving to a system with a single payment rate, collapsing the codes between level 2 and 5, CMS is allowing the doctor to "focus on what is most important for the patient in front of them," said CMS Chief Medical Officer Kate Goodrich, MD. A boon for EHR usability, patient safety, pop health analytics? Beyond the promise of removing redundancies and jettisoning superfluous requirements, the new rules could have big implications for the efficiency and efficacy of health information technology, said National Coordinator Don Rucker, MD. Noting that the E/M documentation rules were first put together way back in 1995, and that they now require a lot of needless "medical school-type text" shuffled around EHRs in "big, templated notes," Rucker said it was time for a new approach. "It may not have made sense then, but in an era of electronic health records, we've heard from everyone that it just doesn't make sense." The drawbacks and even dangers of note bloat are obvious and long-documented. Trying to sort through and find relevant clinical information in non-templated data is very hard, he said, and there are real patient safety issues when important data is "buried in boilerplate." More to the point, such a profusion of dubiously necessary data is at cross purposes with the "modern, app-based world," he said. As we move toward a healthcare ecosystem where patients' health records are readily available on smartphones, "we want those notes to reflect the care you receive – not just billing boilerplate." To the question of whether reducing the documentation requirements would lead to less data and perhaps undermine analytics efforts, Rucker said it would actually be the "exact reverse." He called templated text the "anti-matter of information," creating a "classic signal to noise problem" for data governance efforts. By "taking the clutter out," he said, it would be a very powerful boost for EHR efficiency and better algorithms for quality improvement. Indeed, added ONC Chief Medical Officer Thomas Mason, MD, the proposed rule – if finalized, it will take effect in 2019 – will have a significant impact on EHRs and usability. The American College of Physicians has called documentation burdens the number one usability challenge, he pointed out. By ameliorating them, it will lead to physician effectiveness and efficiency, innovation, improved data analytics and a clearer focus on patient engagement.